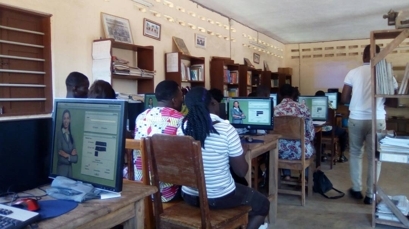 In early 2016 we were fortunate enough to be chosen by SAP; the world renowned software organisation, to benefit from one of their charitable technology project committments. 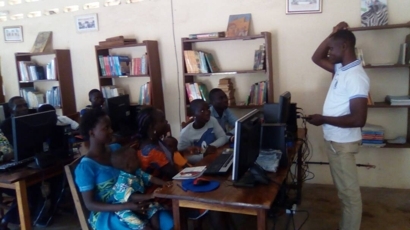 They then raised £8000 enabling us to provide the hardware, software and training to educate the villagers of Agome sevah to become fully conversant with computing and to then be able to train others in the surrounding area. The benefit of this is going to be immense, both educational and practical. By that time SAP had determined that they wanted to provide the funds for a second tranche of training sessions and more computers. Thsi was all delivered in October 2017. Our village of Agoem Sevah is becoming the centre for IT training as well as benefitting in practical ways. We are now planning to get them on to the internet.